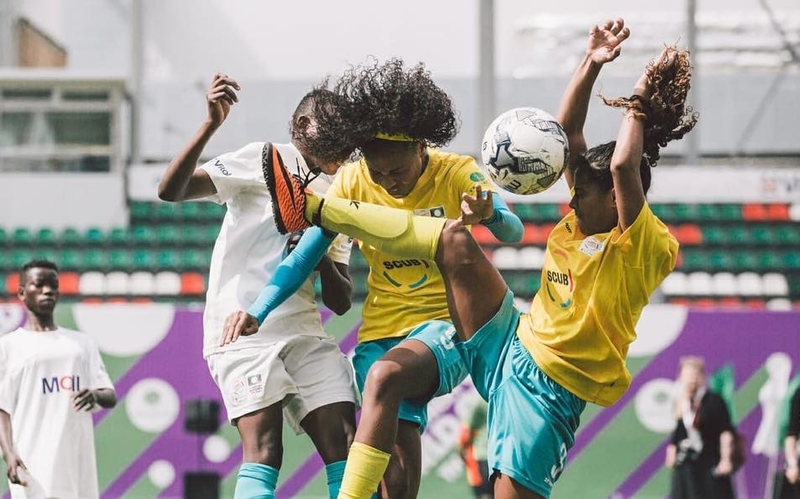 The girls’ team from a favela in Rio de Janeiro claimed a victory at the 2018 Street Child World Cup. At the 2018 Street Child World Cup in Russia, the Brazilian girls’ team didn’t speak the same languages as their opponents — so they let their performances on the field do the talking. The girls went undefeated in Moscow and won the cup after a nail-biting final match against Tanzania. “We did what we had to do,” 17-year-old captain Taisa said simply. The team is from Complexo da Penha, a dangerous favela in Rio de Janeiro. Girls in the community had always been passionate about football, but didn’t have anywhere to play safely. Street Child United Brazil, an organisation that uses football to support children living in vulnerable communities, decided to build a pitch for them — they managed to convince local residents, police and gang members to declare it off-limits to guns and violence. Almost a quarter of Rio de Janeiro’s population live in favelas like Complexo da Penha. Overpopulation, poverty and violence are daily concerns for these communities. On average, one Rio resident is hit by a stray bullet every seven hours. The Brazilian police are in constant conflict with heavily armed drug gangs. Through Família Caracol, a Street Child United Brazil initiative that now runs the pitch in Complexo da Penha, they’ve created a space for girls to flourish. “In other communities, people say ‘she’s a girl so she can’t play,’ but here it is normal for us to beat the boys,” Gabby said with a laugh. “Coming where they come from, it is hard to get an opportunity,” said 21-year-old coach Tammy of their players. Walking to school is often too dangerous and many girls must drop out. Poverty forces other girls into gangs in order to support their families.